In this project, we provides an intuitive overview of massive trajectories, with density map technique. From the result, we can see hot spots and investigate people's behaviors. We generate pictures of traffic density in Beijing, with the GPS records of 28,519 taxis. This project is exhbited in Beijing Design Week 2012. 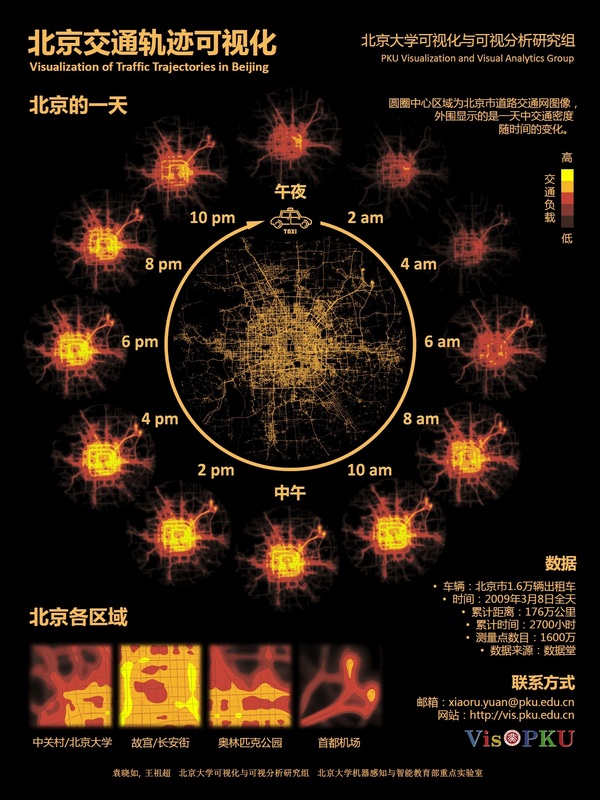 Visualization of Traffic Trajectories in Beijing.